Analysis: Who will replace Dlamini-Zuma at the African Union? As the African Union gathers for its 27th summit in Kigali in July, the agenda is likely to be dominated by the race to elect a new chair of the African Union Commission. Yet much of the anticipation is around whether the election will be held and any of the candidates will receive the required vote to win. By SOLOMON A. DERSSO. After four years at the helm of the African Union Commission, Dr Nkosazana Dlamini-Zuma’s time in Addis Ababa has come to an end. Dlamini-Zuma chose not to seek a second term, which means AU member states have to choose her replacement. According to AU rules, candidatures should be deposited with the AU Legal Counsel three months before the elections. When the list of candidates was finally circulated to AU member states, it carried three candidates for the position of AU Commission chair: Dr Pelonomi Venson-Moitoi of Botswana, Dr Specioza Naigaga Wandira Kazibwe of Uganda and Agapito Mba Mokuy. Does the identity of the next chairperson matter? In a recent article for African Arguments, Babatunde Fagbayibo argued that it doesn’t. This view, however, is simplistic, and comes from a position of ignorance. It ignores both the substantive authority vested in the chairperson, and discounts how the standing and dynamism of the person shapes not only the agenda but also the course of the decision of AU policy bodies including the AU Assembly, the highest decision-making body made up of the heads of state and government of AU member states. Would any informed observer say that the identity of the next secretary-general of the United Nations, another intergovernmental body, doesn’t matter? The AU Commission chair is more than just a secretary of the policy bodies of the AU. Apart from following up on the implementation of decisions of the AU, as spelt out in the Protocol establishing the Peace and Security Council, for example, the chairperson is vested with the power of taking steps “to prevent potential conflicts, resolve actual conflicts and promote peace-building and post-conflict reconstruction”. I could not thus agree more with Abdul Mohammed’s well-reasoned view that the choice for the next African Union chairperson is too critical to get wrong. As he rightly pointed out, the chairperson of the AU Commission is responsible not only for shaping the continental economic and trade, political and security agenda. The chairperson is also key in mobilising common African positions on matters of global governance and represents and champions Africa’s voice on the global stage. 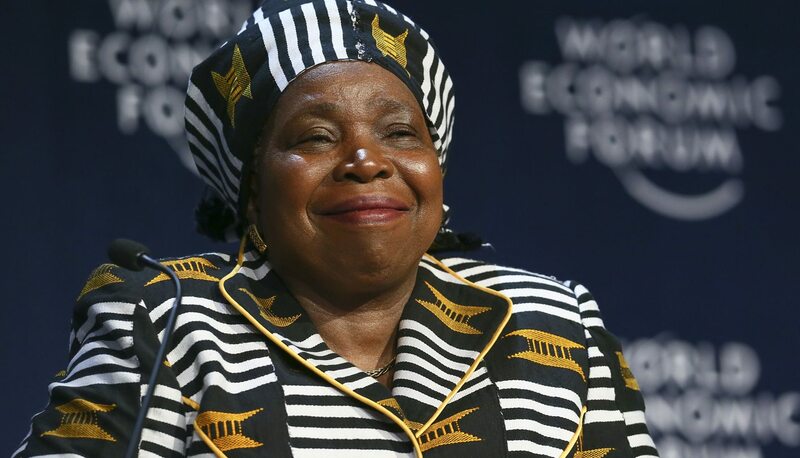 The implementation of Agenda 2063, Dlamini-Zuma’s signature legacy and Africa’s political and socio-economic development blueprint, will now be the key responsibility of the next chairperson as well. Indeed, today more than at any previous time, what the continent needs is a AU led by the very best. In this age of globalisation, the AU needs a leader who aggressively pursues the negotiation of African partnerships and international engagements by African states as a bloc. Promoting the structural transformation of African economies and fast-tracking regional economic integration is the only path for a prosperous economic future. Ours is also an age of transnational and regional security challenges, calling for effective continental cohesion and leadership. Today Africa is faced with a plethora of challenges. Many countries, including the so-called regional anchors, are lurching from one crisis to another. Almost all are consumed by internal pressures and crises as well as major political and economic troubles, many of them self-inflicted. A common thread running through all of them is the lack of visionary leadership with pan-African conviction. It is now more important than ever for the AU Commission to have the best leadership. With member states struggling to provide continental leadership, who else is best placed to fill this leadership vacuum and mobilise member states in pursuit of AU’s agenda, if not the chairperson of the AU Commission? When the current chairwoman Dlamini-Zuma ran against her predecessor Jean Ping in January 2012, the election period was characterised by unprecedented campaigning and fierce contestation. Despite full support from South Africa and SADC, Dlamini-Zuma’s election was far from a foregone conclusion, and was made more complicated by South Africa’s apparent violation of a “gentlemen’s agreement” which prevented candidates from Africa’s major powers from standing for the position. With strong Francophone support, allegedly at the behest of France, Jean Ping was successful in blocking his replacement, if only temporarily. At the AU summit in 2012, neither candidate received the necessary two-thirds majority, and so the vote was delayed until the next summit, where Dlamini-Zuma finally won. This year’s elections at the summit in Kigali are unlikely to be as dramatic. The electoral campaign has so far been muted. It has not attracted the level of contestation between the candidates and the rivalry that pitted South Africa against some of the major regional anchors such as Nigeria, Kenya and Ethiopia. This election also elicited little public attention and media coverage. … to the uninspiring electoral season of 2016? There is anticipation about this election but it is about whether any of the candidates will actually receive the required two-thirds majority vote, rather than who wins. At a glance, the campaign dynamics between the candidates seem to suggest that the vote will be split. Not surprisingly, the youngest candidate for the post, Equatorial Guinea’s Agapito Mba Mokuy,was the first on the campaign trail. His campaign is well funded: if money talks, he might have the edge. The oldest of the three, at 65 years old, is Botswana’s foreign minister Dr Pelonomi Venson-Moitoi. She is the SADC candidate, although she may not have unanimous backing. With Dlamini-Zuma refusing a second term, the regional body seeks to preserve the leadership of the AUC for the next four years. The third candidate, Uganda’s Dr Specioza Naigaga Wandira Kazibwe, has the advantage of having the strongest international profile. Apart from her distinction as the first woman in Africa to hold the position of vice-president, she has been a UN special representative on HIV/AIDS. Currently, she serves on one of the components of the African Peace and Security Architecture, the AU Panel of the Wise. The dynamics in the AU also seems to reinforce the scenario of an election without a winner. Talking to representatives of various AU states, one gets the impression that there is little show of enthusiasm for strong support of any of the candidates. It is not uncommon to find African diplomats with reservations on whether any of the candidates has the best qualities that the job demands. It was during the April 2016 Tana High-Level Forum on Security in Africa, held in Bahir Dar, Ethiopia, that alarm bells started to ring as to whether any of the candidates are up to scratch. In a clear departure from tradition, Senegal broke ranks from others in raising concern over the current list of candidates for the election of AUC chair. While meeting Nigeria’s President Buhari during the Abuja summit on security in May 2016, Senegal’s President Macky Sall reportedly emphasised “the need for the emergence of a good candidate for the chairmanship of the soon-to-be vacant African Union Commission in view of the decision of Mrs Zuma not to run for a second term”. Although the deadline for candidates ended in April, Senegal announced the designation of Professor Abdoulaye Bathily, currently Special Representative of the UN Secretary-General for Central Africa and Head of the United Nations Office to the Region, as a candidate for the AU’s top job. Since then, during the 4 June 2016 summit of West African regional bloc Ecowas, similar sentiments were expressed and a request for postponing the election has since apparently been communicated to the AUC chairwoman. Another dynamic surrounding this election is the desire of SADC states to keep the position for southern Africa. Given the big push from the region in 2012 to block Ping’s second term, diplomats from other regions expressed frustration about SADC’s slow decision on the election. Indeed, this was a point of discussion between the authorities of South Africa and some countries from other regions. While the candidates on offer display various advantages relative to each other, there is apparent doubt as to whether they are the best that Africa can offer. If, owing to the above dynamics, the elections at the Kigali summit end in deadlock and delegates can’t choose a successor to Dlamini-Zuma, the elections will be postponed to the next summit in January 2017 in Addis Ababa. Should this scenario come to pass, the question that will face the AU and member states is whether this postponement will be seized as an opportunity to look at new candidates. Although whether the rules will allow such option is in question, a minister I spoke with confided that it is likely that the election process would be opened all over again. In that event, there is a very strong expectation in diplomatic circles in Addis Ababa that Algeria will be pressed to present its current Minister of Foreign Affairs, Ramtane Lamamra, for the top job. While there has been some mobilisation for his candidacy in the current election, Algeria did not put Lamamra on the electoral ballot. A widely respected former AU peace and security chief, Lamamra would be the first person to run for AU’s top job from North Africa. Solomon A. Dersso is a legal scholar and analyst of peace and security and African affairs. He also serves as commissioner of the African Commission on Human and Peoples’ Rights, but he writes strictly in his personal capacity.